Happy Monday! Hope you enjoyed your weekend. Just wanted to share with you a card set I made for a friend. She was married a couple of weekends ago and I though a set of thank you cards would come in handy and make a great gift. The colors used were from her wedding. I went with the same two stamp sets (In Bloom & Spiral Bouquet for the sentiment) and came up with four different layouts. Added a touch of glitter to all but one, I wanted to keep one a little less feminine so she could use it for either a male or female. 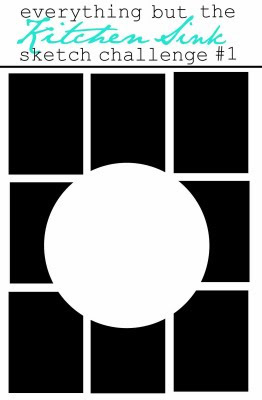 The set included a total of eight cards, two of each design. Thanks for stopping in today! Hope you have a great start to your week. Answer the following questions using single word answers. To pass the award to 5 other people and let them know. Have a great day and weekend! Thanks for visiting! I created the panels by adhering double sided sticky tape and then gave it a good coating of Doodle Bug Bon Bon glitter. 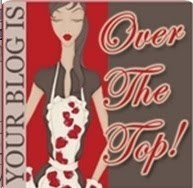 For the center image I went with a tag to play along with the latest Inspire Me Challenge #4: Tag It, over at Dawn's blog. Stamped the In Bloom flower in brown onto the tag and cream card stock, cut out the layers and adhered with dimensional adhesive. Tied a tab of ribbon, embellished with a little more glitter and attached a sentiment. On the camera front, I received an email today that it has been repaired and has been shipped back to me. Hurray! Hello all! 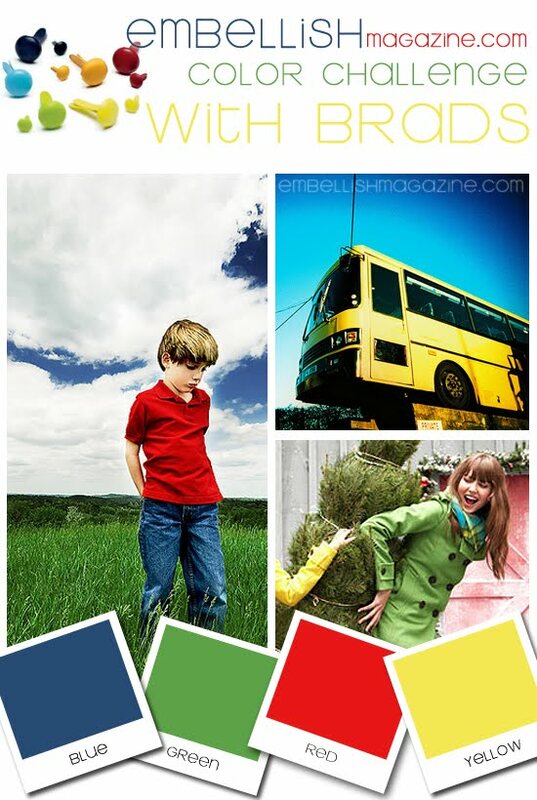 I am on my way out the door but I wanted to pop in a share a fun sort of masculine card with you before I go... 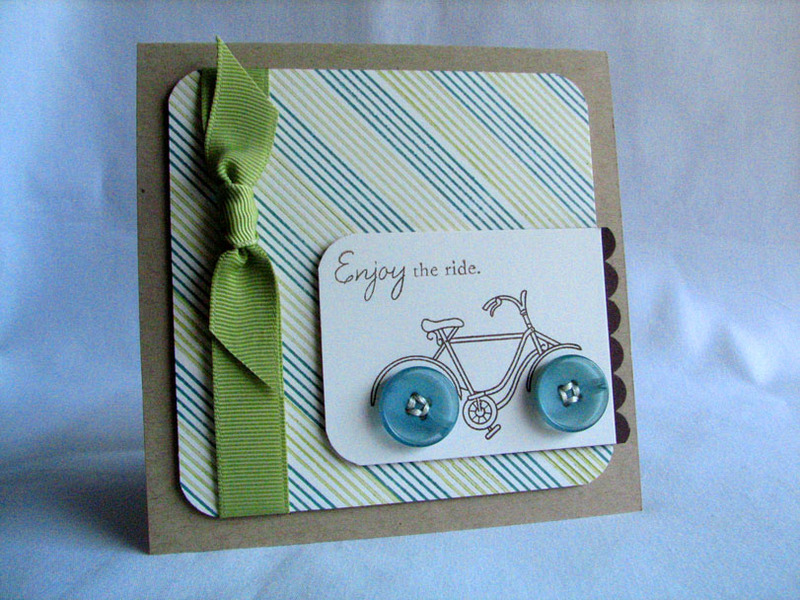 The background was stamped with stripes from Background Basics: Retro in Ocean Tides and Spring Moss. Rounded the corners and wrapped it with ribbon. Stamped the bike in brown and attached the buttons with some fun stitching. Attach a brown scalloped edge, rounded the corners, and attach to the striped background making sure to hang the scallops over the edge for a tad bit of interest. All these rounded corners make me happy, it's such a simple touch but really makes for and fun card. Hello! Today's card was one I made for the last Hero Arts Glitter Challenge, I wasn't able to submit it in time but thought I would share it with you anyways. I cut a raspberry flag, attached it to the kraft card base and embellished it with raspberry buttons. The scalloped striped circle stamp was one that I received from an Honorable Mention in the Paper Tearing Challenge, this was my first ever and so far my only submission into any of the Hero Arts Challenges. One of these days I will try another one of their challenges and submit it on time. Anyways, the circle was stamped in aqua, cut out then I ran glitter along some of the stripes. The wreath was stamped in green and raspberry (for the bow), punched out then glittered. Layered the sentiment over the wreath once it was dry. Well thanks for visiting today, hope you enjoyed! Season's Greetings: (All PTI unless noted) Card Measures 5 1/2" X 3 1/2"
Hello! 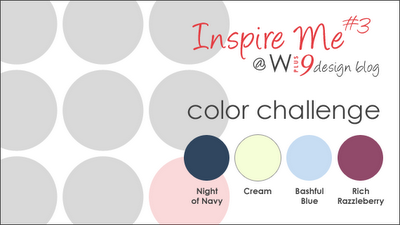 This week Clean & Simple Challenge is a color challenge: To use white with one other color. 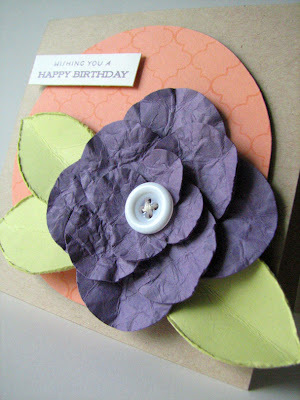 I chose to work with purple to have another try at the Moxie Fab World Plum Challenge. Anyways, hope you have a great day and a fun weekend. Thanks for stopping by! The latest challenge over at the Moxie Fab World Blog is to create a project that captures the essence of the color plum in its design. So here is what I came up with... 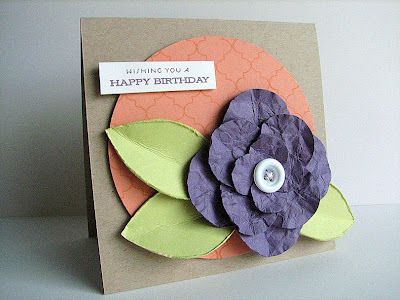 The focus of the card is this handmade purple/plum flower. I decided to enhance the color by combining it with a triadic color scheme (three colors that are evenly spaced on the color wheel). To create this flower I used three different sized circles punches, punched four circle from each punch and crumpled to distress. Adhered same sized circles together to form the layers then adhere the layers together to form the flower. Embellish with a stitched button in the center and attach hand cut and distressed leaves. Thanks for visiting and hope you have a wonderful day! 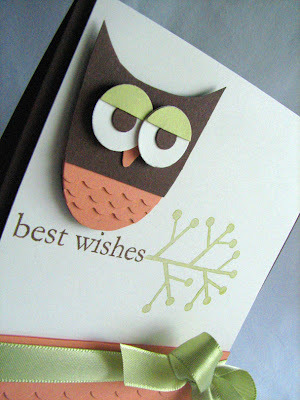 I drew an owl shape onto brown cardstock and cut him out. Gave him a ruffly belly by layering scalloped strips, cut with decorative scissors. Punched two different sized circles for his eyes and cut his nose by hand. 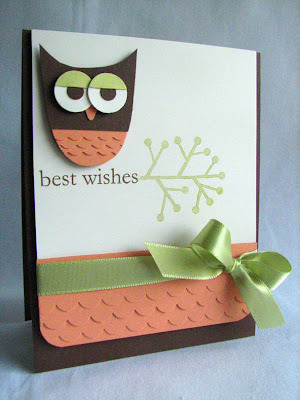 To coordinate with my little friend I continued the ruffled belly idea onto the bottom of the card. Next he needed something to perch onto, so I created a branch using a sentiment and tree image from Beyond Basic Borders. Stamped the sentiment in brown, to create the branch, and then inked the top of the tree image in green to create some foliage. What a fun challenge this was! Anyways, thanks for stopping in for a visit today, hope you liked the card. Happy Tuesday to you all! 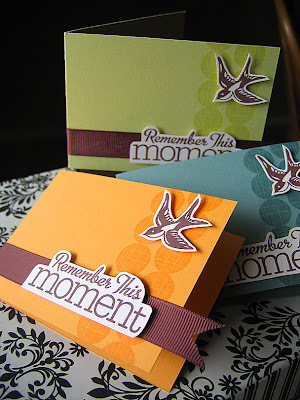 I really wanted to participate in the latest Inspire Me Color Challenge hosted by Dawn over at her blog Stamp Away With Me. 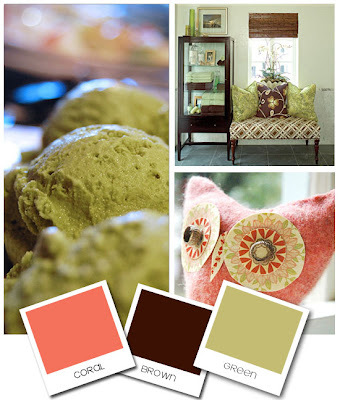 The deadline was last Sunday but I really wanted to give this fun color combo a try. So even though the deadline has passed, here is my card... I don't have the exact colors she listed, so instead I used PTI colors: Enchanted Evening, Spring Rain, Scarlet Jewel and Vintage Cream. 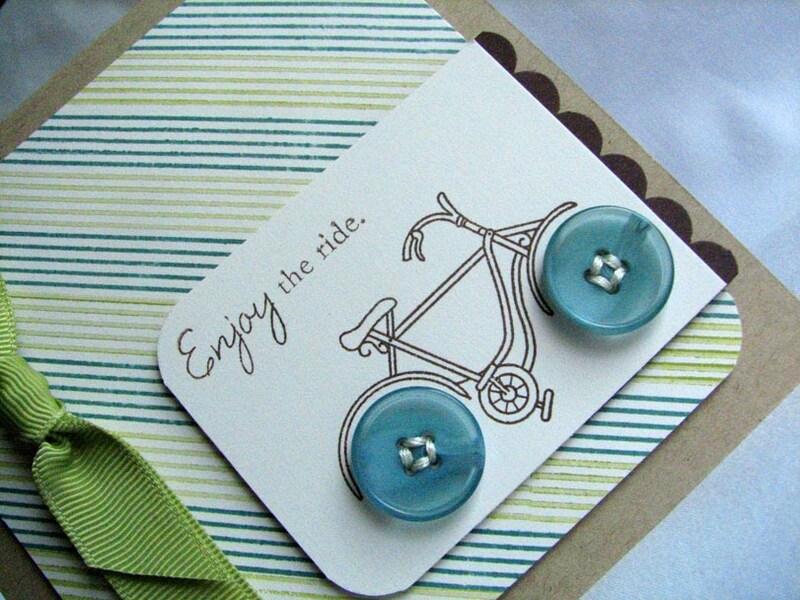 Isn't this a fun way to put those huge buttons to use?! 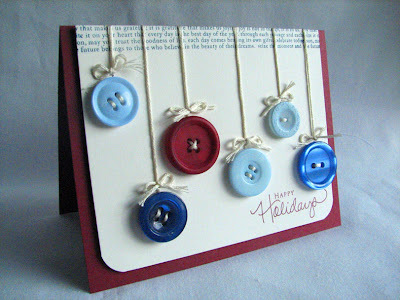 The button ornaments were stitched directly to the cardstock. I pierced a hole just above each button, strung the embroidery floss through, wrapped it back around to the front and tied the ends into a tiny bow. The ribbon strips were adhered to the left side of the card base. 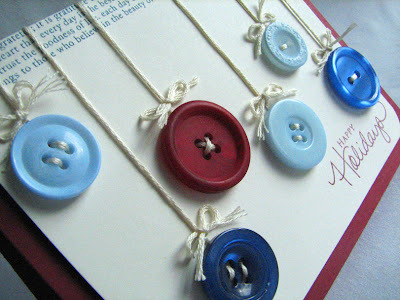 Next I strung buttons onto twine, wrapped the twine around a white strip of cardstock. Stamped the sentiment in black (from Beautiful Blooms) then adhered the strip over the end of the ribbon onto the card base with dimensional adhesive. Hope you found this helpful. Have a wonderful start to your week and thanks for stopping in today! Hello all! Hope you are having a great start to your weekend. My sister was kind enough to let me borrow her camera for a bit, so I have a new card to share with you today... 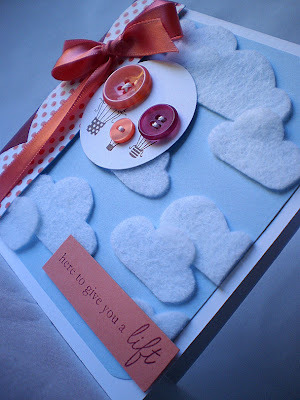 I have had this felt cloud idea in my head since I made this card. I created today's card pretty much the same way. I cut cloud templates from cardstock and found it easiest to hold the template against the felt and then cut out the shape. I then laid out and overlapped the clouds, adhered them with Scor-Tape and trimmed the edge. 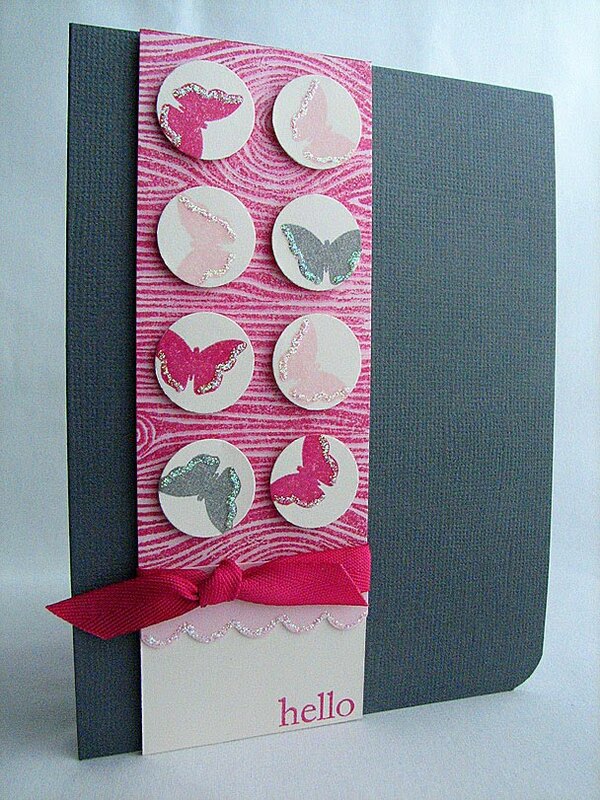 The left side of the card is covered with Scarlet Jewel cardstock and an embossed curves punched edge (stamped with polka dots in Melon Berry) then wrapped with a melon berry bow. I thought Melon Berry and Scarlet Jewel hot air balloons (from Everyday Button Bits) would be fitting floating among these fluffy clouds. Thanks to all of you for putting up with me not having my camera and for all of your sweet and encouraging comments. Have a great weekend! Hello everyone! 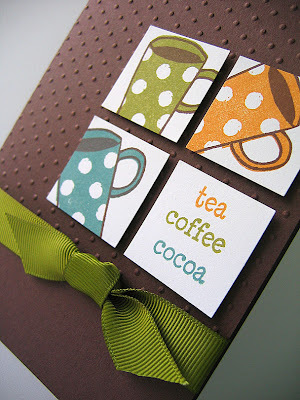 Here is another card and a couple tags that were published in the October 2009 issue of CARDS Magazine. 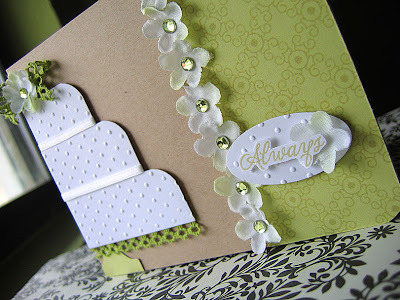 Here is how the cake was created: cut cardstock strips, emboss strips with swiss dots, adhere strips together (with a cardstock backing), embellish with ribbon and trim then adhere the assembled cake to the card base. 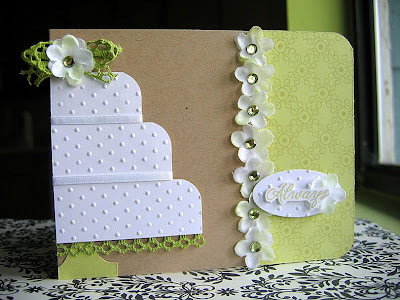 Once attached to the card embellish the cake top. The green cake base was cut by hand then attach just under the cake. 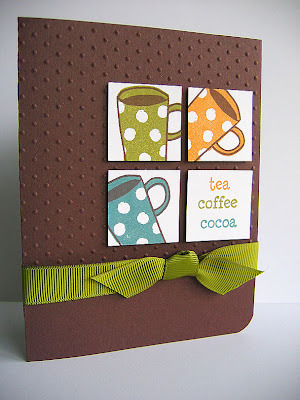 The tags were punched from cardstock, punched with a scalloped border then embossed with swiss dots. Stamped and cut out peas, attached to the tag with a sentiment. 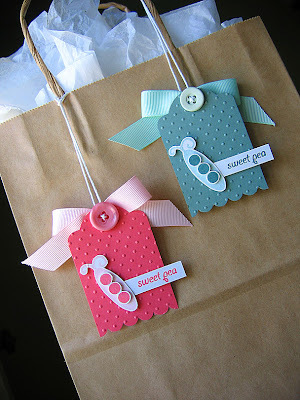 The buttons were threaded with twine then the twine was threaded though the tag hole and tide to the bows. If you need any more info please let me know. On the camera front, my mom and sister have graciously offered to share their cameras with me occasionally while mine is in for repairs. Hope to share some new stuff with you soon. Hello All! I am having issues with my camera and am unable to take any new photos. So until I get this problem figured out I though I would share some oldies (but goodies) with you. Today's cards are a couple that were published in the October issue of CARDS Magazine. I hope to get this problem fixed soon, I feel so lost with out my camera. So please bear with me since I am unable to update you with my latest cards. Hello my friends and happy Monday to you! 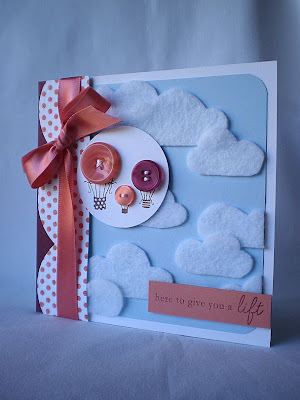 Today I wanted to share a sweet baby card I created (I couldn't decide which photos I liked best so I posted 3 for you today)... 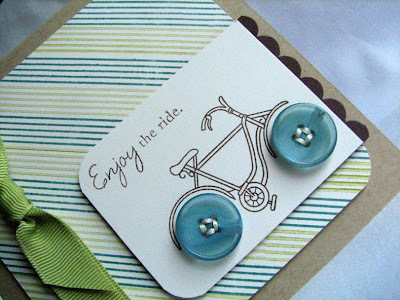 The cream circle was stamped with a background stamp, from Background Basics: Retro, in aqua. The sentiment was stamped using two different sentiments from Mixed Messages, it just so happened that they were in the same font. The stars were punched from melon berry (stamped with stripes from BB: Retro in cream) and aqua cardstock. Then layered with a circle and buttons. 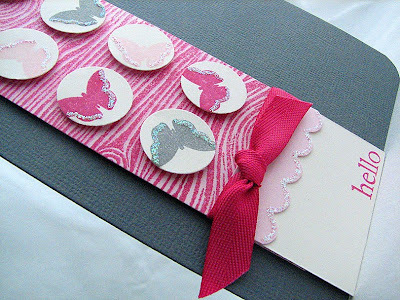 The ribbon was done using the same technique used on this card. Excepted before adhering the ribbon I ran a straight stitch down one side with thread, bunched it together tightly then adhered and stapled. Creating this much ruffle did take a lot of ribbon, but I really like the way it turned out. Well that's it from me today, hope you have a wonderful start to your week and a blessed day. Thanks for stopping in today!